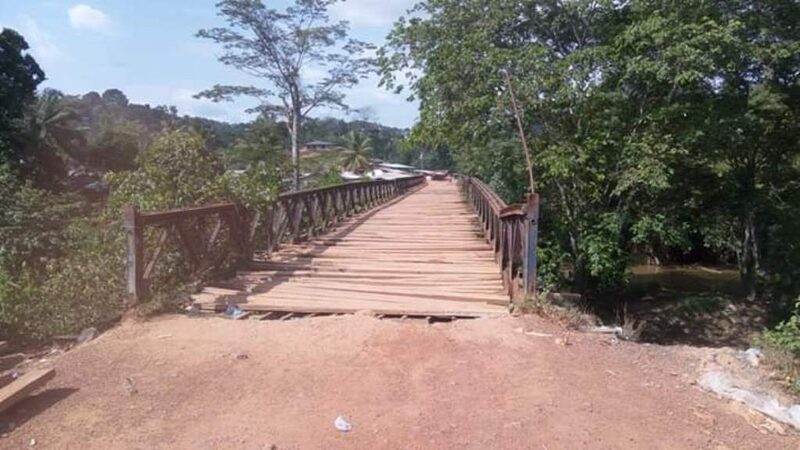 River Gee County – Liberians in River Gee and Grand Kru Counties have intensified their appeals to the government to rehabilitate the Jaquiken Bridge, which is at the verge of collapsing. The bridge is located in Nyeniwliken administrative district, River Gee County and connects major towns in River Gee and Grand Kru Counties. Locals in the area including traders say when the bridge is repaired it will ensure free movement of people and promote trade between the two neighboring counties. The deplorable bridge is situated in Jaquiken, a densely populated gold mining camp of Nyeniwliken administrative district in River Gee County. “This bridge was constructed in the 70s and we the residents of the Jouqiken Community have been living with this situation for years now,” says Sunday Weadutu, a community elder. She said all the steel plates and poles on the bridge are all falling apart, something that is posing a serious risk to pedestrians and vehicles’ users. “We continue to risk our lives on a daily basis just for our families to survive and to send our children to school,” said Weadee, another marketer who was traveling to Grand Kru County. Meanwhile, the advisor of the Southeastern Motorcycle Union Matthew Brooks says the current condition of the bridge has resulted in the loss of several lives of travelers of both counties. He said motorcyclists have been the most victims since the bridge became very deplorable. Brooks added that the condition of the bridge is very appalling, a situation that is at the brink of worsening in the coming months when the rainy season starts. Brooks told reporters that vehicles owners and business people are now finding it extremely difficult to transport their goods to either Grand Kru or River Gee Counties. The situation has resulted in the hike in transportation fares as well as other basic commodities, he said. He said and several other road users then pleaded with President George Weah make a timely intervention in order to restore the hope of locals in the two counties. The Weah-led administration has made road construction its number one priority, with the President repeatedly drawing local and international media attention to the challenges of the sector. However, most of the road project the administration has undertaken in the last year have all been in Monrovia with the major one in Doe Community, Bushrold Island. 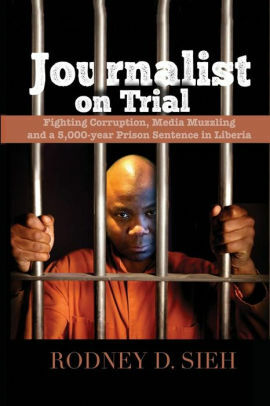 This story is a production of Local Voices Liberia, a network of Liberian journalists working in the 15 counties to report stories that are under-reported.